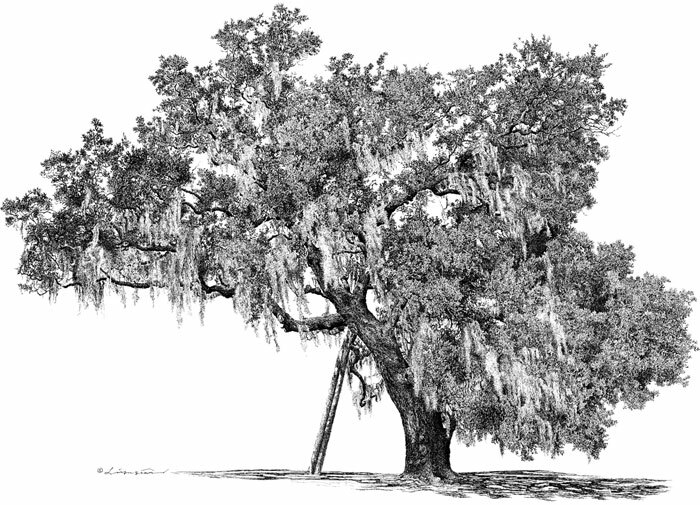 This live oak witnessed that the first Texas Masonic Lodge was organized in March 1834. Dr. Anson Jones, later the third president of the Republic of Texas, was in the organizational meeting. 21''X 15'': 75 limited, Price $145 (Tax & Shipping fee included).